Malts: Pale Ale, Flaked Oats, Munich, Aromatic Malt. Hops: Citra, Vic Secret & Galaxy. 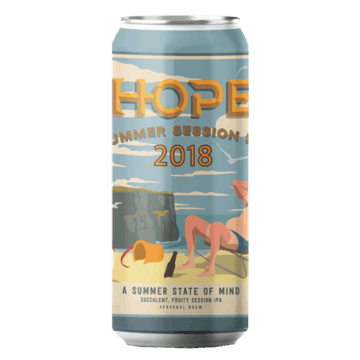 To celebrate the potential of a single summer’s day, we have introduced our second iteration of the Summer Session IPA. When poured, a nose of Fruit Pastilles, Tropical Fruits and Pine is evident, helped by the inclusion of Aromatic Malt. In the glass, the light haze and orange hue accentuates the full-bodied mouthfeel. The aroma tells no lie and is matched by the taste and flavour…distinctive, clean bitterness without lingering too long, leaving you wanting… more! Drink this on its own or with food. But it is best shared with friends…and all things BBQ. Cheers! We’re recommending Sunshine and Friends as excellent pairings for the Summer Session IPA. Kormas, sweet and sour dishes or some blue cheese would also be good accompaniments.